As a Shopify store owner, your work is never done. An online store is a work-in-progress, requiring regular tweaks and upgrades to keep up-to-date and offer your customers a fast, user-friendly shopping experience. So what can you do to upgrade your Shopify store for 2018 and start the year as you mean to go on? For a little inspiration, check out The Best of the Best Shopify Stores of 2017. It’s no secret that today, most people have little time and low attention spans. It’s not entirely our fault, after all, society has designed a system where myriad things are competing for our attention constantly, even in our downtime. Especially in our downtime. With limited free time to waste, we appreciate brands that offer a personalized shopping experience, taking us to what we’re looking for using the minimum number of steps. We also value brands that resolve our queries quickly and easily. Essentially, we want the online equivalent of a store assistant who really knows their stuff – and who knows us and our personal preferences too. So how can you make your online store more personal and interactive in 2018? Create a personalized email campaign. Instead of sending out the same generic offer to everyone on your email list, use personalization software to generate offers and product suggestions based on customers’ previous behavior on your store. This is far more likely to prove successful than simply advertising the products you’re most keen to sell. Install an interactive chatbot. Apps like the Gobot Shopify app can boost sales by gathering feedback and making individual product recommendations. Run tightly focused retargeting campaigns that display ads based on customer behavior and purchase history – not simply the same generic ad for everyone. If you’ve had your online store for some time, you probably have a host of apps installed that you no longer get value out of. 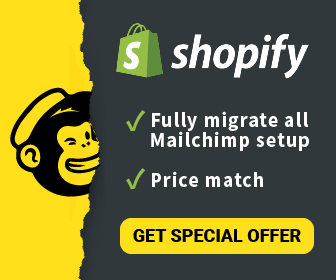 And likewise, if you haven’t visited the Shopify App Store recently, you may not be aware of some of the newer apps available that could make a real difference to the performance of your business. With the right tools to hand, you can grow your revenue, promote your store more effectively, handle shipping and inventory, and even reward customers for their loyalty. Got other Shopify apps you’re not using? Offload them to free up some space. Here’s how to delete apps from your Shopify store. Keeping your website theme fresh and up to date is well worth the effort, as it means you get access to the latest features, as well as bug fixes and code updates. Not only that, you’ll discover it’s much easier for Shopify theme developers to support you when you have the most recent version installed. The other benefit that comes with updating your theme is that you can take stock of what apps, features, and integrations you have running in the background, and decide whether to keep or delete them. It’s worth giving yourself plenty of time when you upgrade your theme, and if it’s your first time, you may want to consider using a tool like Out of the Sandbox’s Shopify Theme Updater App, which does a lot of the tricky stuff for you. A word of advice: don’t publish your new theme until you’ve done some rigorous testing and investigated any new features. Chances are, not everything will translate perfectly from one version to the next, so it’s better to fix mistakes before your customers have a chance to find them. You’d be surprised to know how many online store owners don’t make the most of their email database, despite the fact that the average ROI for email is far higher than social media or PPC. In 2018, it’s time for merchants to start taking email marketing seriously and adjusting their budgets accordingly. In all likelihood, you already have a budget allocated for things like Google ads and Facebook paid advertising, which is mostly aimed at drawing in new customers. And while you need new customers, don’t forget that the cost of re-selling to an existing customer is just 20% of that needed to bring in a new one. ContactPigeon provides smart email marketing automation to drive better results for your business over time, using a host of proven features such as segmentation, retargeting and live analytics. As a Shopify user, you’re given lots of pointers along the way about how to optimize your store for SEO. If thus far you’ve failed to give it much thought, now’s the time to start. It’s never too late to improve your search rankings and generate more traffic. Test all forms and processes on a smaller screen to see how easy they are to follow. Is it difficult to add products to cart? How seamless is it to sign up to the mailing list or make a purchase? Upgrading your store for 2018 is all about making improvements to the user experience, making life easier for yourself with apps and automation, and carrying out the necessary adjustments to keep your store fresh and functional. Got anything you’d like to add? Leave a note for the author in the comments. Victoria Greene is a branding consultant and freelance writer. On her blog, Victoria Ecommerce, she shares tips on eCommerce and how companies can improve the way they represent their brand. She is passionate about using her experience to help brands improve their reach.